1. 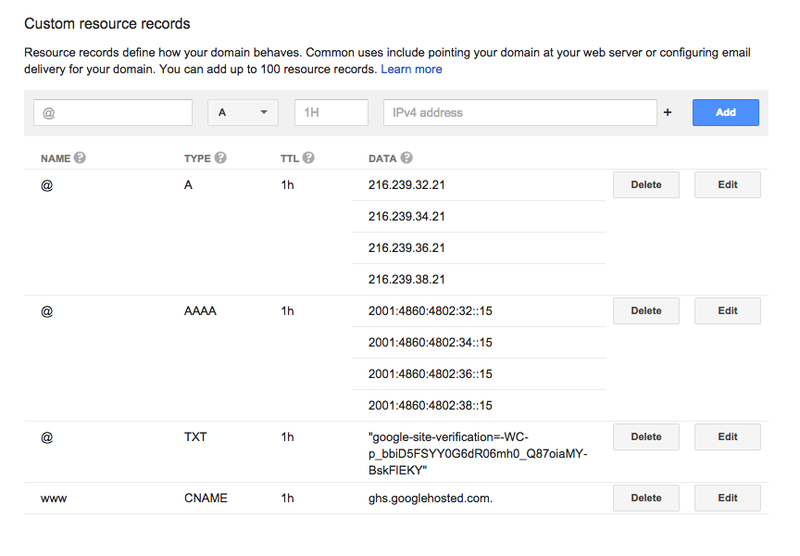 Hosted on Google infrastructure, so it's going to be fast. 2. If it's a low traffic site, then it's almost free. 1. Python 2.7 must be installed on your machine. If you are on Mac, it's already installed. 2. Download GAE SDK for Python. 3. Create new application for your static site using GoogleAppEngineLauncher. 4. Create a directory called static under your-site-name directory. 6. 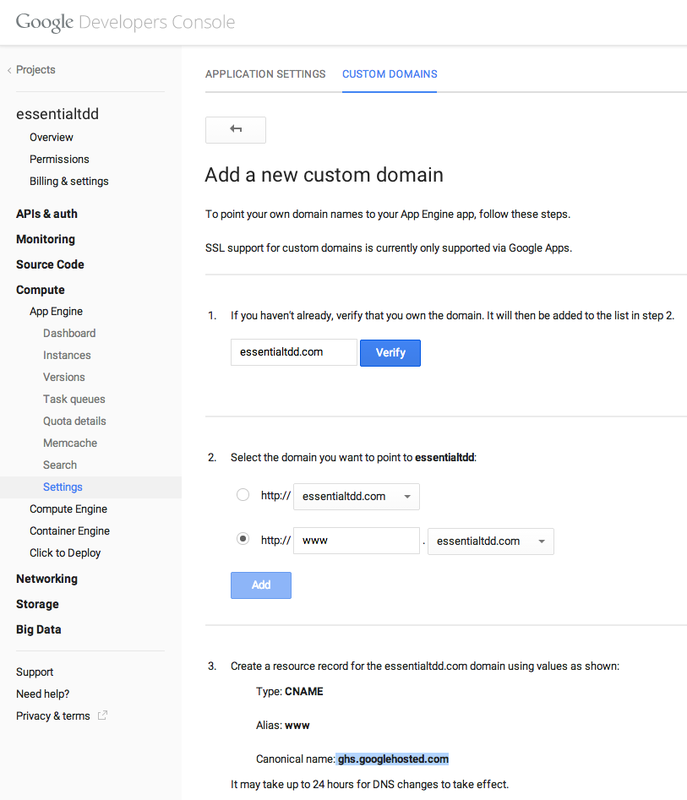 Click deploy on GoogleAppEngineLauncher. 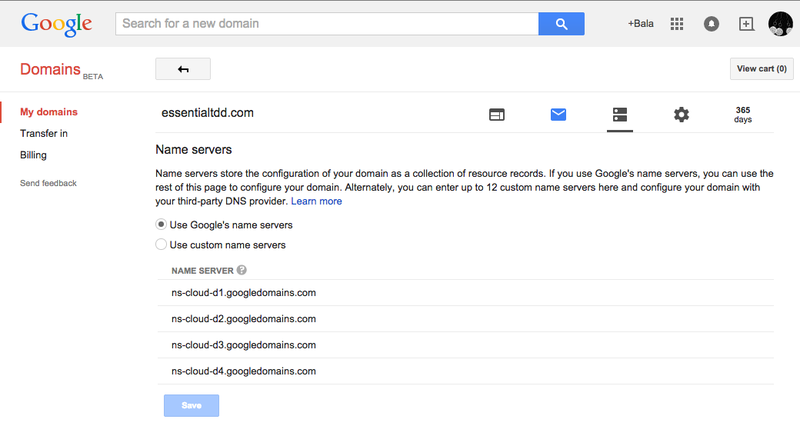 Since I bought my domain using Google domains, I configured custom domain to point to my GAE instance by using the Google Developer Console and Google Domains account page as follows. Object Oriented Programming promised us re-use and ease of maintenance. OO paradigm delivered on re-use but not on ease of maintenance. Hi, I am Uncle Toni, the rest of the presentation is about how we can overcome the limitation of Object-Oriented Paradigm. Ease of maintenance? How? It is relative. When compared to procedural languages, yes. But, this is 2015. We need to be able to quantify the ease of maintenance claim. Given a requirement, can we estimate and come up with how many weeks it will take to finish? Your manager comes to you and asks how long a new feature will take, how do you answer that question? What do you do to find out the level of effort required to finish the feature on time? You read the Wiki, which is out of date and in sync with the current code base. You read the code. You don't know how the code works. So you talk to the developer who wrote the code. There are communication issues. I cannot estimate unless I have an understanding of the system. How do we gain an understanding of the system? Can tests help? Cucumber features does not provide trace-ability. Because, the steps create and call methods on it. We cannot get a big picture view of the system that helps us to estimate. It introduces accidental complexity. Bob Martin's suggestions result in bloated code and over-engineering. We don't want Repository pattern and all that Java crap that becomes a heavy burden. Let's imagine an ideal world where we are not restricted by any programming paradigm. What does the ideal solution look like? We need a trace-ability matrix that shows which use-cases map to which class and methods. Some of the classes are re-used by more than one-use case so we have some reuse of code. These shared classes are called tangling. The wide spectrum of classes that collaborate to achieve a high-level use case is called scattering. The use-cases are cross-cutting because they cut through different layers of the system. In a well-designed system we have layered architecture where we separate the view, the controller and the persistence layer. This allows us to allocate work according to the strength of a developer. As long as we obey the contract between the layers, teams can work in parallel. How much time do you think you spend on maintenance as a developer? Microsoft did a survey and found out that 90% of the developer time is spent on maintenance. If you reduce that by half, you can save 50% of your maintenance cost. Ideally I want to glance at the code and instantly know which part of the code has the use case that my manager is talking about. Read my blog post on why using interactor gem is a bad idea. I don't use Rails filters for business logic. It is very difficult to reason about the code. I thought only others write bad code. I consult for start-ups, I see code written by inexperienced developers, find missing abstractions. Make the view dumb, thin controller and fat models. Then I realized the projects that I developed from scratch, after a few months when I saw the code base, I had 'WTF' moments. What was I thinking? When does this thing get called? Is it even used anywhere? Can I delete it? How do I use this feature? People get very clever in tests. Ideally, I want to see 'Once upon a time, lots of things happen, then they lived happily ever after'. The tests does not tell me a story. Here is the link to my solution that aims to be a trace-ability matrix. Maybe one of you can create a gem that will analyze the code and create a nice matrix. This matrix can be kept in sync with the code because it is generated by analyzing the code. It be part of the build system, where a post-checkin hook can get it gets published to the wiki automatically. You can use this as a starting point to do impact analysis. What is the impact of this new requirement? How many classes and methods will have to change? Based on that you will get an idea of the complexity of the new requirement. Question from the audience after browsing my code above. Why not put all the uses cases for an actor into the same file? Because the only thing I liked about the Interactor gem is that when you open the interactor folder you get a list of all use cases, it shows what the system can do. I don't like the fact that the class names are verbs. Ideally, you want the class names to be noun and the method names to be a verb. I have seen interactor gem more often being abused in the projects that I have been involved. I also think naming the classes with the verb as breaking the basic OO design principles. If you are hitting the limits of OO paradigm, then you need to think about other ways of solving the problem. When a failure happens, you have to fail loudly. That means raising an application level exception. The reason is that it is extremely difficult to hunt down bugs that are hidden behind some code that is failing silently. I have spent weeks to find these kind of bugs. If you see the home page of interactor gem, you will see they are checking for a flag to check for success/failure. I also don't like the proliferation of so many classes with just one method. Why do we need a class for each step in a use case? It does not make much sense to me. Luckily Ruby allows the file name for a class to be anything. So we can have the file name named after the use case name. I read the Ivor Jacobson's book Use Case Oriented System written in the 1990's. He talks about describing the use cases that is agnostic of the technology. When a developer works with the use cases, the use cases needs to be converted to objects with responsibilities. Even if you have no semantic gap between your code base and the use cases, you still have a mismatch between the user's perspective and the developer's perspective. You might have concepts in the code that does not have any counter part in the use case or the domain. BDD does not mean using Domain Driven Design. DDD is about using aggregates, entities, architectural patterns and so on. It's not just using the terms used in the domain. One of the paper I read uses Django framework and uses complicated solution where use cases are store in a repository with use case annotation to achieve trace ability. I don't want to over-engineer and complicate things. Non-invasive tools would be better, where I can run a gem like Rails best practices and get a nicely formatted trace ability matrix. Can DCI architecture address these problems? What if Ruby 3.0 came up with a new language construct? My solution has an entry point into the system, it does not do any work by itself. It delegates all the work to other objects. It orchestrates the entire use case. Note for myself: Take a look at concerns and see if you can get rid of the require statements in application.rb. --domains flag indicates don't follow any external links from somedomain.com site. Test Driven Development in Ruby Course is a comprehensive online course that covers the basics of Test Driven Development in Ruby for beginners. 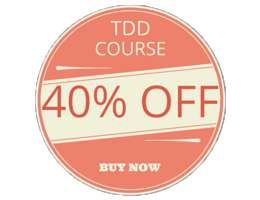 This course aims to help beginners to overcome difficulty in learning TDD. Each lessons in the course has hands on exercises to reinforce the material. You will learn TDD by applying the concepts in the lessons. At the end of the class, students will have worked through some common interview problems and gained skills that can be used to answer questions in an interview. Access to the entire transcript that is not released to the public yet. Access to the transcript in audio form that is not released to the public yet. 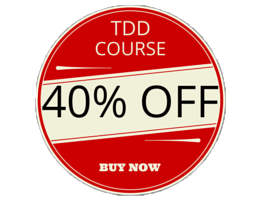 This course is the result of teaching one-day TDD boot-camps and TDD tutorials for Silicon Valley Ruby Meetups. I have spent more than 500 hours and thousands of dollars to create this course. Click on the image below to enroll for this course now.